Home News Honor 9N Performance Review: Does More RAM Make A Difference? 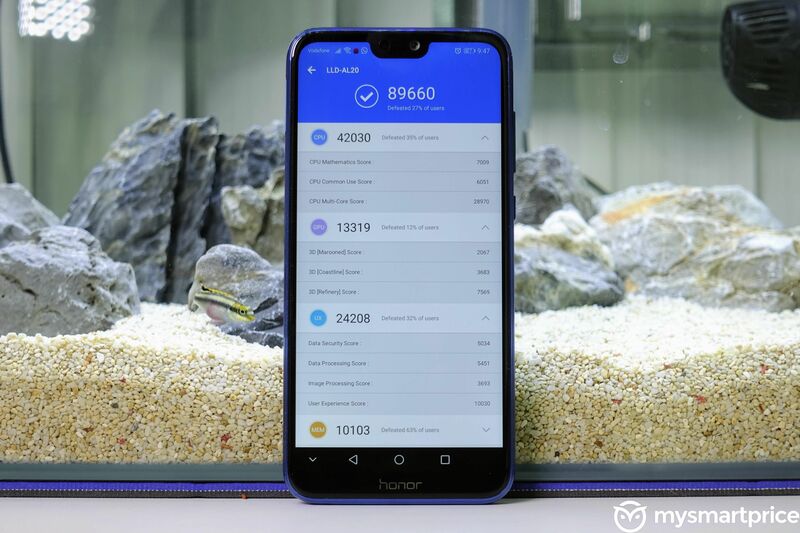 Honor 9N Performance Review: Does More RAM Make A Difference? A typical millennial’s day revolves around browsing social media, posting mandatory Instagram stories, applying Snapchat dog filters to any one (or more) of the hundred selfies taken during the course of the day, and jamming out to tunes while tweet-storming about Priyanka Chopra’s possible engagement to Nick Jonas. Basically, nothing of any consequence, but a phone should nevertheless be equipped to survive this mindless pursuit of dopamine rush driven by social-media validation. In our previous article dealing with Honor 9N’s display, we had concluded that the screen might not be anything special, but it still is good enough for the aforementioned tasks. Now, we find out if the 9N’s processor is up to the task. Apart from the Honor 9 Lite, there are a few other Huawei and Honor phones powered by the same HiSilicon Kirin 659 SoC chipset found on the Honor 9N. Huawei aims to provide the same processor at varying price points while ensuring that performance isn’t a concern when purchasing one of its smartphones or that of its sub brand Honor. In keeping with this strategy, the Honor 9N ships with the same HiSilicon Kirin 659 SoC, which comprises of an octa-core CPU with four of its performance cores clocked at 2.36GHz and the remaining four being power-saving cores clocked at 1.7GHz. Our review unit comes with 4GB of RAM and 64GB of internal storage. The cheapest variant of this phone is equipped with 3GB of RAM and 32GB of internal storage, whereas the most expensive one has a 4GB RAM and 128GB storage. Further storage expandability up to an additional 128GB is possible through the hybrid SIM and microSD card slot. As is the case with all our reviews, we pushed the phone as far as we could. We began by setting up the two primary security features the 9N offers – the fingerprint scanner and face unlock. Much like our experience with the Honor 9 Lite, the 9N also takes a day until the biometric scanning algorithm settles in. Thereafter, both the fingerprint scanner and face unlock work marvellously. EMUI 8.0 has an added feature where it bumps up screen brightness to scan your face even in dim lighting conditions. The phone is even able to accurately detect your face in pitch black conditions, but that works better only when you use a lighter hued (preferable the white side of the spectrum) wallpaper on the lock screen. Moving on to the raw performance, various benchmarks that we subjected the Honor 9N to confirm the mid-range underpinnings of this smartphone. While we never experienced any deal-breaking crashes, the phone did present some degree of lag and stutter during daily use. Such minor hiccups emerge once the device is loaded up with your standard collection of productivity applications and games, which users are most likely to instal on their smartphones. The overall performance of the Honor 9N is commendable even though it employs a slightly outdated chipset. The phone can easily run multiple applications concurrently, and moving between these is not an issue either. However, we are not sure how much of a difference the additional gigabyte RAM within our test unit really makes on a phone of this calibre. This is especially true because the device tends to kill background apps quite aggressively either way. This fact was also infamously proven in a recent skirmish between VideoLAN and Huawei, where VLC blacklisted and blocked certain Huawei smartphones from outright downloading the VLC app on the Google Play Store. 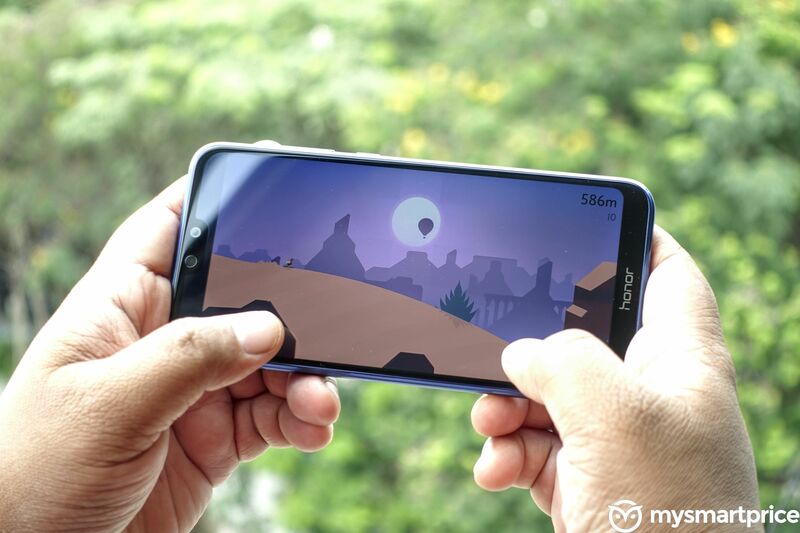 The app maker cited the aggressive background app killing policy as a reason why Huawei users faced issues with the app and subsequently left poor reviews for the VLC app. Let’s not forget that Honor is a sub-brand of Huawei and both phones share the same EMUI flavour of Android. With all this taken into account, the base variant of the Honor 9N makes for a more sensible purchase, especially since the higher RAM+storage models come frighteningly close to phones such as the Redmi Note 5 Pro in terms of their pricing. For context, our test unit with its 4GB of RAM and 64GB of storage costs Rs. 13,999, while the Redmi Note 5 Pro’s pricing starts at Rs.14,999. At this price point you would definitely be better off spending the extra grand for the Note 5 Pro. Needless to say, the absurd Rs. 17,999 price tag of the 9N’s 4GB RAM+ 128GB storage offering would be a bad buying decision.